Holden Jackaroo 3.0LTD 4JX1. 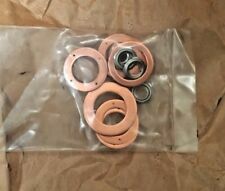 Injectors O Ring Seal Washer Kit Sleeve Gasket. They are still Genuine Isuzu parts. We are at the back of the building. INTERNATIONAL ORDERS. Unit 12/16-18 Northumberland Rd, Caringbah NSW 2229. FILTERS, BADGES, BRAKES, HEADLIGHTS, WHEEL BEARINGS, GASKETS AND A LOT OF CLASSIC STUFF AND SO ON AND SO ON. 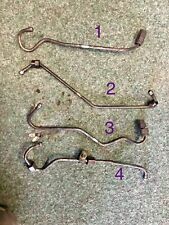 OPEL - VAUXHALL - ISUZU ORIGINAL PARTS - GENUINE PARTS. SO I'M NOT SURE WHAT CARS/MODELS/YEARS THESE PARTS FIT ON BUT I'LL TRY TO DO MY BEST TO HELP YOU. Isuzu Trooper Kuro magistrale. Isuzu Trooper Einspritzleiste (Düsen). Isuzu Trooper Топливная система (Магистральная трубка топлива). Type of fuel: Diesel. NPR 2000 2016 Diesel 4HG1 4.6L. Here you can find all applications for this part. 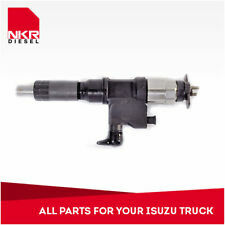 This Injector Fits Isuzu NPR Truck with the 4.6L Engine 4HG1T. (No Core Due). NPR 1992 1997 Diesel 4BD2 3.9L. NQR 1994 1998 Diesel 4BD2 3.9L. ENCAVA 1998 2009 Diesel 4HE1 4.8L. NQR 1998 2004 Diesel 4HE1 4.8L. NPR 1998 2004 Diesel 4HE1 4.8L. ENCAVA 1998 2009 Diesel 4HE1 4.8L. NPR 1998 2004 Diesel 4HE1 4.8L. NPR-HD 1998 2004 Diesel 4HE1 4.8L. Weight: 1.00. 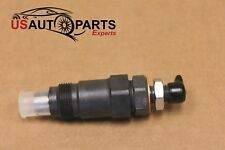 Nozzle Injector For ISUZU 5.2 4HK1 NPR NPR-HD NQR NRR 2005-2007 Genuine New! NQR 2005 2007 Diesel 4HK1 5.2L. NPR-HD 2005 2007 Diesel 4HK1 5.2L. Here you can find all applications for this part General Info. NPR 1992 1997 Diesel 4BD2 3.9L. Here you can find all applications for this part. Neu mit Lagerspuren! Alle Angaben werden mit bestem Wissen und Gewissen gemacht! kann abgeholt werden! sich die Fotos genau anzuschauen. Denn weitere Infos. dass Sie eine Nettorechnung benötigen. NPR 2008 2009 Diesel 4HK1 5.2L. NPR-HD 2008 2010 Diesel 4HK1 5.2L. NQR 2008 2010 Diesel 4HK1 5.2L. NRR 2008 2010 Diesel 4HK1 5.2L. FTR 2007 2011 Diesel 6HK1 7.8L. PART NUMBER: D3282. IT IS BEEN REMOVED FROM ISUZU TROOPER 3.0 TDI. ELIN PELIN 2100. 29 LESNOVSKA. AUTOPARTS SERVICE 86 LTD. ONCE AN ITEM IS RECEIVED BACK IT WILL BE QUALITY TESTED ON OUR BENCHES AND CHECKED FOR A MATCH WITH THE ONE SOLD. ZEXEL: 1050483800. KOMATSU: 6354113210. All our parts are (NEW OTHER) unless otherwise specified. They may have been in storage anywhere from 1-30 years. Rubber parts, gaskets, hardware may need to be replaced and may not be useable. 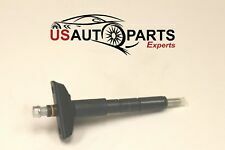 Genuine Denso New Diesel Injector ISUZU 5.2 4HK1 NPR NQR 2004-2007 * USA Seller! 2004 – 2007 5.2L 4HK1 RJS. Engine models: 4HK1 Tier 3 Common-Rail. 2004 – 2007 Isuzu NPR, NPR-HD, NQR. 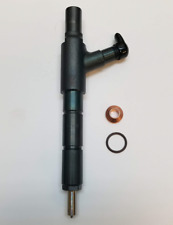 Isuzu Denso Diesel Injector Nozzle Assembly. Genuine Denso Injector Isuzu industrial common-rail diesel engines. 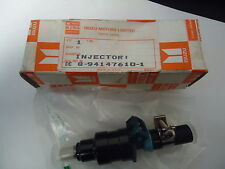 New original made in Japan, Isuzu/Denso injector. 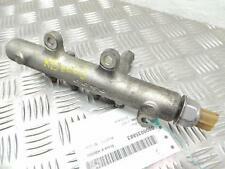 ISUZU CAMPO FORKLIFT ENGINE C223 C223-T 2,2L OHV, 8 VALVES ROCKER ARM SHAFT ASSEMBLY USED. Used in good condition. 22km thessalonikis-moudanion. Eine Diesel Einspritzdüse, ausgebaut aus einem Saab 9-5 YS3E 3.0TiD Baujahr 2002. Fachmännischer Einbau in einer Werkstatt ist vorausgesetzt. Removed from a 2002 Isuzu Trooper A/T 3.5L 4x4. 1999-2002 Isuzu Trooper. Everything we do is centered on supporting you in fully realizing your potential. If you aren't happy, we're not happy. Let's make this simple.